Gulyantsi (Bulgarian: Гулянци, pronounced [ɡuˈlʲanci]; also transliterated Guljanci, Gulyanci, Guliantzi, Gulyantzi, etc.) 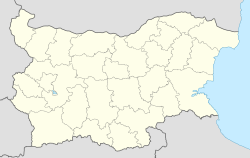 is a town in central northern Bulgaria, part of Pleven Province. It is the administrative centre of Gulyantsi municipality and lies in the central north of the province, near the town of Nikopol, very close to the Danube River. As of December 2009, the town has a population of 3,432 inhabitants. Gulyantsi lies 34 kilometres north of the provincial capital Pleven, 4 kilometres south of the Danube and 7-8 kilometres southwest of the mouth of the Iskar River at Gigen village. It was proclaimed a town on 4 September 1974. 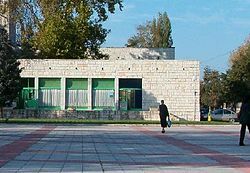 This Pleven Province, Bulgaria location article is a stub. You can help Wikipedia by expanding it. This page was last edited on 19 March 2017, at 15:40 (UTC).